Abstract: Software sustainability is gaining a significant attraction to researchers and practitioners since the Karlskrona’s Manifesto. At present, different sustainability practice areas ranging from social and environmental to technical sustainability are of major interest to reduce the burden of maintenance and evolution costs, energy concerns and produce long living systems at lower costs. Moreover, the complexity of Systems-of-Systems development involving different disciplines and technical areas and the management of complex Software Ecosystems demand more and more reduction in the cost for building and evolving complex systems that require adaption to different contexts. In this talk, we describe the basis of the different sustainability practice areas and we suggest research opportunities applicable to different kind of systems at different levels of complexity. 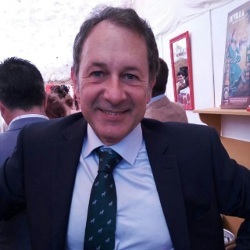 Rafael Capilla is Associate Professor at the Rey Juan Carlos University of Madrid. His research focuses on Software Architecture, Software Product Line Engineering, Variability Management and Dynamic Variability, among other topics. He was co-editor and co-author of the book on Systems and software Variability Management (Springer, 2013) with Jan Bosch and Kyo-Chul Kang. Rafael participated in several EU and Spanish research and development projects and he is a regular reviewer of well known international Journals and Magazines (TOSEM, JSS, TSE, IST, Computer, Software). He is co-author of more than 90 conference papers, Journals articles, and book chapters and has been guest co-editor in eight special issues for different Journals and Magazines (JSS, REJ, JSEP, SOFTWARE). He also chaired several international conferences like CMSR2010, ICSR2018 and VAMOS2018. Rafael is a member of the IEEE Software boards initiatives team, Senior IEEE member and coordinator of IEEE Spain Technical chapters. Web page: https://www.researchgate.net/profile/Rafael_Capilla.